Is it what's on the inside or what's on the outside that counts? This is an age-old question with a patented, politically correct answer. But, in the case-it may not be as clear. Is it your Manolos (footwear) or is it your old Grandma Rose (genetics)? Have you ever had painful corns, calluses, hammertoes, bunions, fungus, heel pain, or ingrown toenails? Have you ever asked yourself, "Are all my foot woes caused by my shoes?" 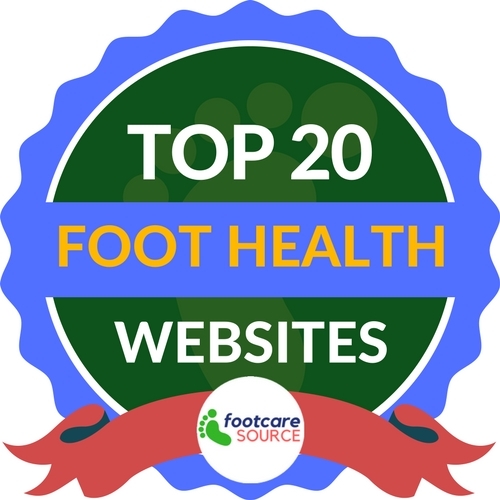 There are many different types, some of the more common foot ailments and their causes. Hammertoes. This is a condition where one or both joints of the second, third, fourth, or fifth toes (the little toes) bend. The abnormal bending is caused by an imbalance between the flexor and the extensor tendons of the toes. This imbalance is typically caused by ill-fitting or high-heeled shoes. However, genetics can play a role. Corns. A corn is circular, thickened area in the skin of the foot that usually forms after repeated pressure wear. Third world countries where people don't generally wear shoes, this problem is extremely rare. However, other foot conditions can contribute to the problem, such as hammertoes, where the tops of the bent toes tend to rub against the tops of the shoes. Bunions. This is a condition where the big toe points toward the second toe, causing a bump on the inside edge of the toe. This bump is an enlargement of bone or tissue around the joint at the base of the big toe. Bunions tend to occur more often in women and can sometimes run in families. The condition can progress and become quite painful. On the other hand, sometimes bunions are not bothersome at all, and are simply a cosmetic issue. Ingrown toenails. This is condition occurs when the rim of the nail grows down into the skin of the toe. Genetics do play a small part in this. However, research shows that activity or shoes are the main culprits. Ingrown toenails occur most often in young athletes and in those that squeeze their feet into shoes that are one size too small. Nail salons that give pedicures can also aggrivate this problem when they attempt to dig the ingrown nail out. This can cause irritation or an infection and is clearly not recommended. Additionally, make sure your nail salon uses only sterilized instruments, especially considering the next common foot problem. Fungus. The origins of this infection are completely from the environment and are caused by microscopic organisms (fungi) that can live on the skin. The more exposure, the more likely a skin or nail infection will develop. Fungus is ubiquitous-not to sound like a horror movie, but it is everywhere. However, it is usually picked up at the gym, hotel, locker room, or nail salon, where the warm damp environments may breed higher concentrations of fungi. 1. Wear comfortable shoes. Shoes that have a bit more support are preferred. Heels are ok as long as they are not too high and wore on occasion. 2. Let the feet and nails breathe. Don't wear nail polish 24/7, year-round. Give the nails and feet a break. Fungus breeds in a dark environment. If the nails are covered by nail polish the fungus can actually breed under the nail polish and develop something called White Superficial Onychomychosis. This looks like powdered sugar on your nails. 3. Have feet checked regularly. If any calluses, corns, bruises, or areas of irritation appear, it should be taken care of sooner rather than later. These problems arise as the body is telling you something is wrong. 4. Once-a-week self examination is recommended to check for cracks on the bottom of the heels. Pay particular attention to the skin between the toes. Using moisturizer cream can help prevent cracks, particularly in the winter time. Your skin is a barrier to microbes. Small cracks can allow germs and bacteria to enter your feet. 5. If copious sweating is a major issue, consider tea soaks. Dilute caffeinated tea and soak for 15 minutes, twice a day. The caffeine and the tannic acid in the tea help constrict the sweat glands. If you have bad genetics stacked against you, then you need to be extra careful. For more information on footwear and foot genetics, please contact our Long Island foot doctors at Advanced Podiatry today at either our Huntington, NY, Manhasset, NY or Roslyn, NY practice! Or submit a request through our site's contact form.